Most Nevada adults have been told at some point in time that they need an estate plan. Unfortunately, what that means may not have been adequately described, which could contribute to the fact that many adults across the country do not have an estate plan. If asked, many younger people might even say that they believe estate planning is for older people or those who are wealthy. The fact is that none of us knows what the future holds. Even if a person does not have a lot of assets or any children, a will ensures that what a person does own goes to whom the person wants. A medical directive tells family and medical personnel what lifesaving medical intervention he or she wants if incapacitated by an illness or accident. A health care power of attorney gives a trusted individual the right to make medical decisions in the same situation. A durable power of attorney allows someone to take care of a person’s financial affairs if he or she is unable to do so for him- or herself. Once a person’s assets and liabilities are identified, he or she can choose who will inherit his or her assets. Otherwise, the state of Nevada gets to make the decision. Further, if an individual becomes incapacitated and is unprepared for it, family members could spend valuable time and resources in court to obtain the right to make decisions on his or her behalf. Everyone 18 years and older needs at least a basic estate plan. 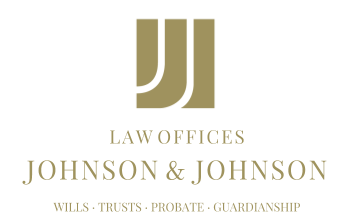 This ordinarily consists of a will, powers of attorney for health and finances and a medical directive. It may be beneficial to seek out the advice and assistance of someone versed in estate planning since state law requires that certain language be included in these documents and that they be executed in a certain manner in order to be considered valid.